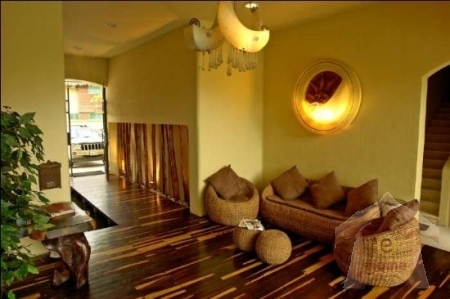 This one bedroom penthouse sleeps up to four persons. 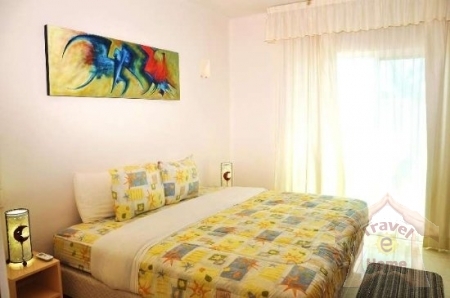 The bedroom has a king size bed and the living room area has a sleeper sofa, accommodating two adults. 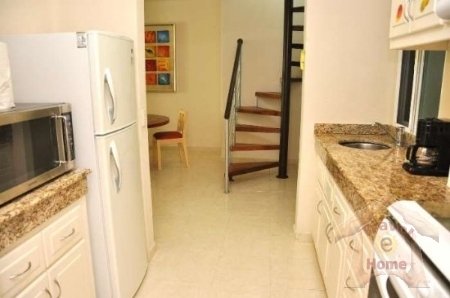 The kitchen is fully stocked with all the necessary appliances such as refrigerator, stove with oven, utensils, microwave, coffeemaker, blender, toaster and drinkable water. 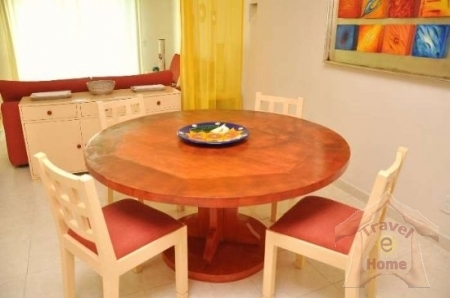 The dining area accommodates four persons. 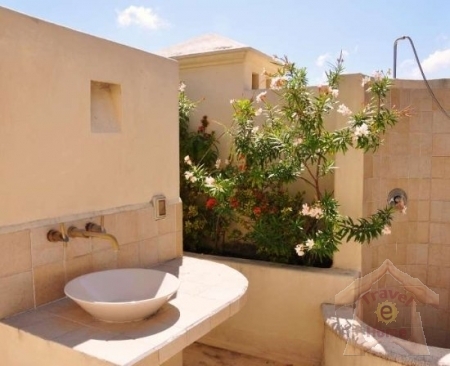 The penthouse has a full bathroom and an additional half bathroom with a toilet. A spiral staircase provides access to the private rooftop terrace complete with a Jacuzzi, lounge chairs, gas grill and outdoor shower & bathroom. 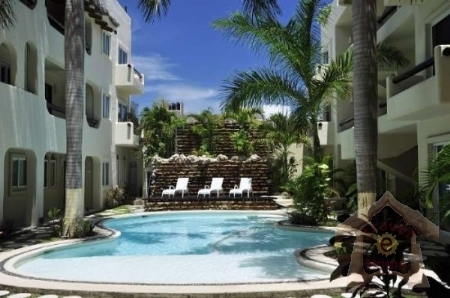 This penthouse is located within Playa Kaan - a gated development with 24/7 security on site as well as a swimming pool, tropical garden area, waterfall and sun deck. 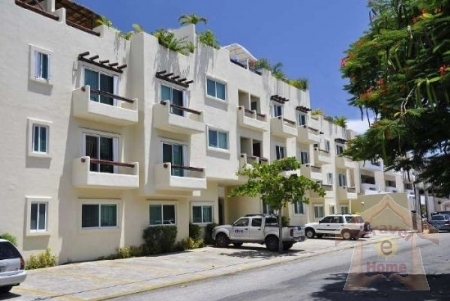 Playa Kaan is located right in the heart of Playa del Carmen, only 3½ blocks from the beach and 1½ blocks from the famous 5th Avenue with all the shops, restaurants and nightlife. 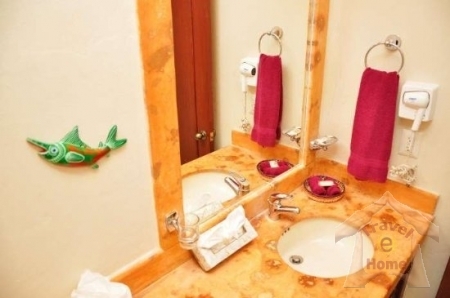 It\'s the perfect location for visitors who prefer to have everything Playa del Carmen has to offer at a short walking distance. This vacation rental unit is also available as a long-term rental - please contact us for information on availability and pricing. We ask for a 50% of the rental price to reserve your rental unit, then the other 50% should be paid one month prior to your arrival. 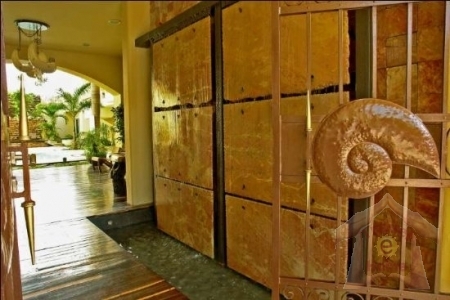 If you are arriving in less than 30 days at the time of booking, we require the full payment of the rental unit price. You will be asked for a security deposit upon your arrival which may be handled in cash (USD or MXN) or signed traveler checks. If cancelled 60 days prior to arrival, you will get a 100% refund (minus $50 USD handling fee). If cancelled 30 days prior to arrival, you get a 50% refund (minus $50 USD handling fee). No refunds will be given for cancellations within 30 days of arrival.